A practical, easy-to-use guide for adults working with elementary age children!This resource focuses on how to live a life of faith in the world today. Activitiescenter on a scripture verse children can read and memorize that engage children'ssenses. Adults will have minimal preparation timeand activities are designed to enhance the spiritual growth of children.Suggestions on how to adapt the activities to include preschool children witll bemade. - Publisher A practical, easy-to-use guide for adults working with elementary age children! This resource focuses on how to live a life of faith in the world today. Activities center on a scripture verse children can read and memorize that engage children's senses. 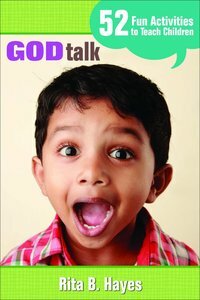 Adults will have minimal preparation time and activities are designed to enhance the spiritual growth of children. It includes suggestions on how to adapt the activities to include preschool children. A practical, easy-to-use guide for adults working with elementary age children! This resource focuses on how to live a life of faith in the world today. Activities center on a scripture verse children can read and memorize that engage children's senses.